Tina Marie’s has been helping people look great on that special day for years and we will be around for years to come. Visit the store today and allow Tina Marie to show you the latest trends in Wedding Gowns, Bridal Party Dresses, Mother of the Bride Dresses as well as Tuxedos for the guys. 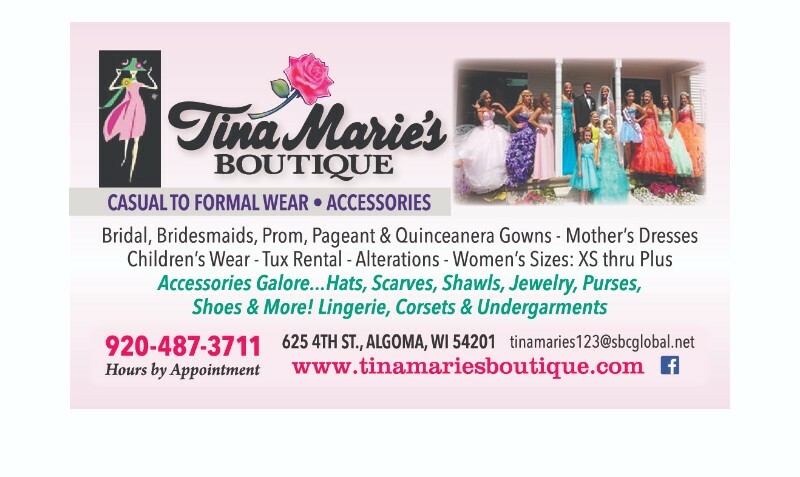 Tina Marie’s is also a destination store for Prom and Pageant Gowns, featuring the widest selection of designers and collections in Northeast Wisconsin. Upbeat, fun, and flattering clothing for women sized XS-3X. Let us help you dress your body so that you may feel and look like the amazing woman you are! 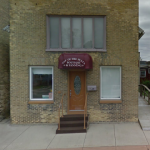 Located just south of Algoma, The Grain Loft is Northeast Wisconsin’s newest performance and event venue.